Neptune was started by John Kitchen and sons in 1909.
worldwide Lever group in 1924.
after Neptune was sold to Shell in 1926. 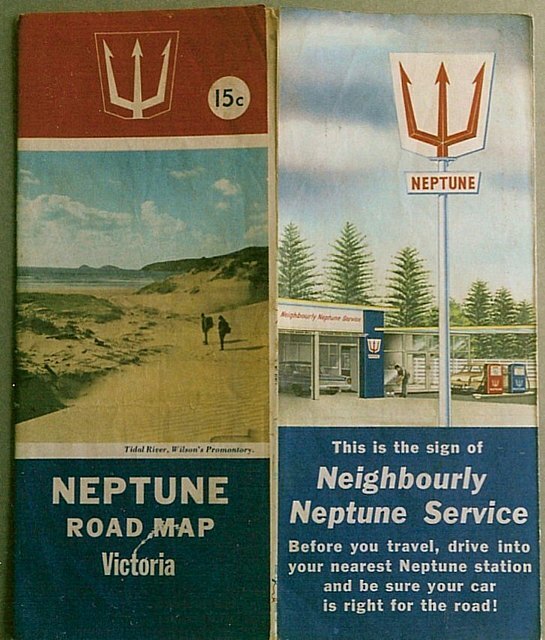 This 1967 map was the last with the Neptune name. Map scan and information From Jim Sonter. 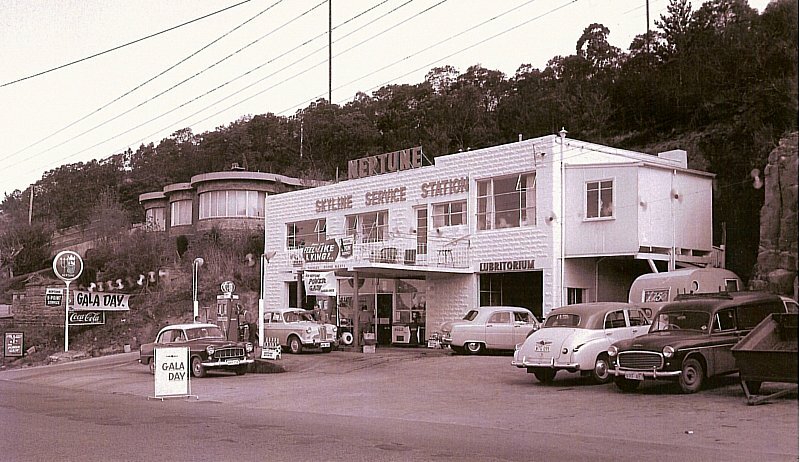 A Neptune at Fiveways Auto Centre in East Denistone, NSW. 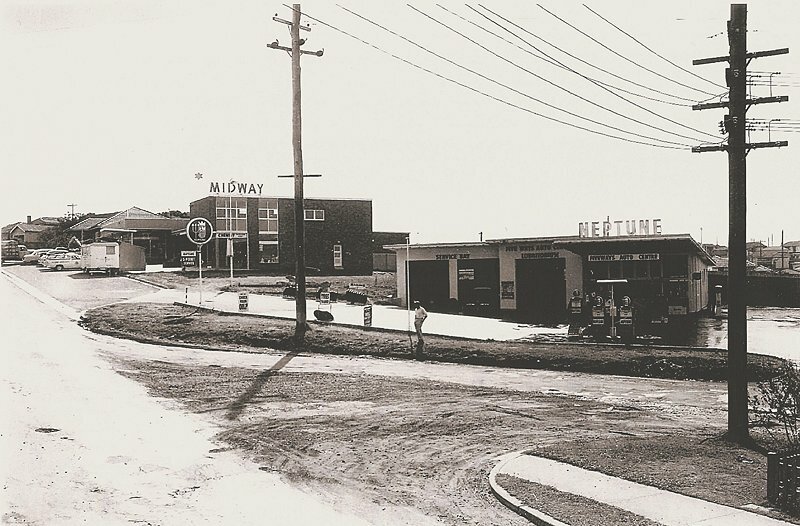 Taken in 1960. Submitted by Jim Sonter. when it was pulled down in 2007. You can click on the image for a somewhat larger version which opens in a new window. 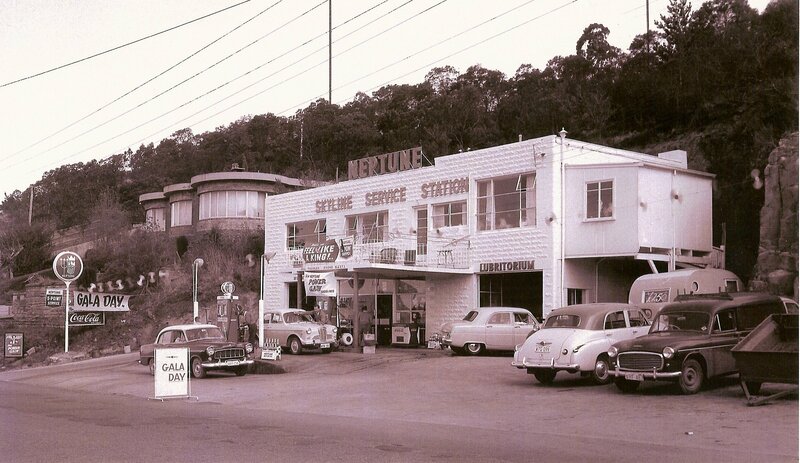 A Neptune garage in Tasmania around 1958. Submitted by Jim Sonter. and the signs were blue with white graphics/lettering. Really like this photo. Look at those spinners across the front on a line! the Lubritorium had an elevator that took the cars to the roof for parking. You can click on the image for a much larger version which opens in a new window.